The best thing that we can recommend when caring for your Christmas tree is to imagine that it is a giant cut flower. Take your tree straight home and stand it in bucket of water as soon as you get there. Don’t leave it in your hot car while you go and do the shopping or out of water while you hunt for the tree stand that you hid away almost a year ago. 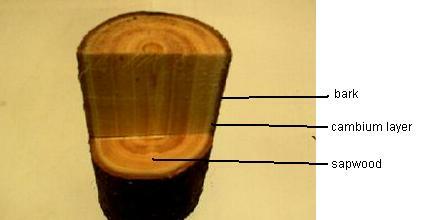 If the tree has been out of water for more than half an hour you should re-cut about 10 mm off the stem just before placing it back in water. If you don’t have a sharp saw at home any good tree seller will do this for you on request. There are many theories on adding different cocktails to the water but in our opinion the two most sound options are aspirin or common bleach. Aspirin contains oil of winter green which is a conifer derivative and is responsible for thinning the blood, it is possible that it also helps the tree drink water. Bleach on the other hand will help keep the water fresh and prevent it stagnating or breeding mosquitoes, but would have to be added to every top up of water the tree gets to be effective. Some of other suggestions we have been informed of are sugar, whiskey, gin, beer, milk, and plant food. They all may have their merits but I believe the best merit of all is they act as a prompt to give the tree water and one thing is for sure, no matter how good an additive is it won’t work without water. The average two metre tree on a hot day will initially drink between two and four litres of water per day and slow down as time passes. It takes water through its cambium layer, which is the soft outer layer just beneath the bark. If this layer dries up the result is like trying to drink through a straw with the end squeezed off, the tree will dehydrate and the leaves will brown. It is very important that the tree doesn’t run out of water at any time. Top the stand or bucket with water every morning.